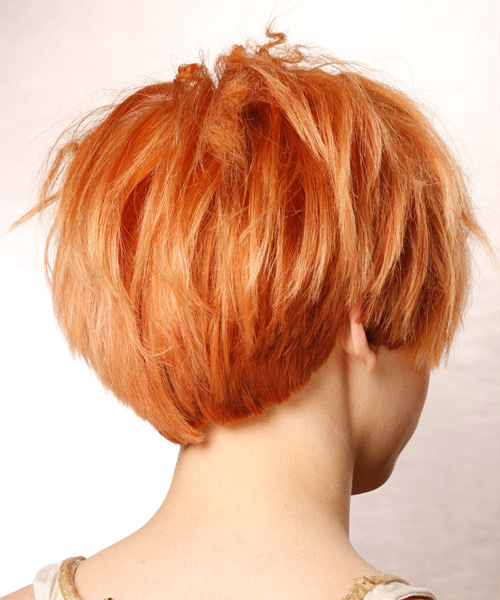 This short and funky hairstyle is tapered into the head through the back and sides with long jagged cut layers through the top for texture and height. This makes it a versatile hairdo perfect for those who want a fun and flirty 'do. Product is needed for hold and shine. Teasing the top of this hairstyle will help to achieve height.